Visitors to our school, replacement teachers and parents of our students often comment about the calm atmosphere in our school. There is a quiet confidence about our students and there is very little trouble in our schoolyard. How can that have be achieved in a Western suburban school in Melbourne? My theory, as a teacher who was there on Day One when the school opened in 1989 with 169 students, is that our whole school community combines to help students be their best and we do it quietly. Teachers stay at our school providing stability and experience and families are loyal to Taylors Lakes Primary. We are now enrolling a second generation of students. We have a rich cultural mix of students and teachers who get on well together. We provide students and families with caring principals and teachers, excellent resources, attractive surroundings, great specialist programs and camping, incursion and excursion programs which help enrich their lives. 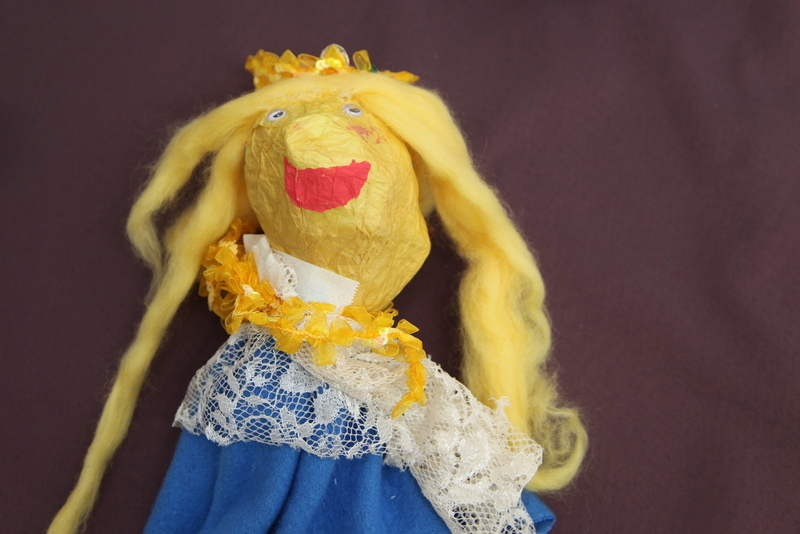 The puppet above, one of thousands made during my over 25 years in Visual Arts, reminds me that an individual’s character is built with many contributing factors. I am proud to have been a part of the rich tapestry of “characters” constructed at our school over the past 25 years. Happy Birthday to our wonderful Taylors Lakes Primary School.